Mountain Bike journeys in Scotland are a spectacular way to discover and access the remote areas inaccessible by road. 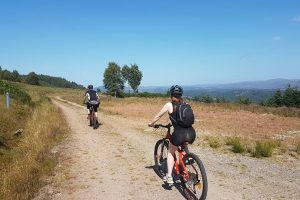 You will find yourself surrounded by the spectacular mountain scenery and engulfed in wildlife, history and culture and get to ride trails deep into the wilderness of Scotland. Actives’ mountain biking expeditions journey through some of the most beautiful and isolated parts of Scotland. If there is an area of Scotland you wish to visit that is not listed in our guided section, please contact us. We will create the bespoke journey for you. 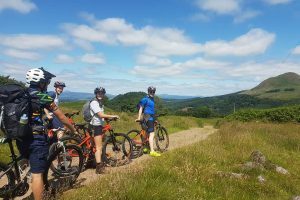 Our qualified and professional mountain bike guides will lead the way on our hand picked routes. Some journeys have you riding location to location. This is where your luggage will be transferred for you to either a campsite or hostel for the evening. Other more remote journeys have you riding with expedition equipment where you experience bikepacking with wild camping!